I want to tell you a story of unintended evangelism. Some years ago one of my daughters was engaged to a young man who was not an Episcopalian. My daughter was a member of an Episcopal Church in Washington D.C., and so it was there and to her priest that they went for the required counseling before marriage. The counseling sessions ended with their decision not to get married. The introduction to the Episcopal Church that the young man received, however, resulted in his falling in love with the Episcopal Church. He became an active member of the Church, and over time he felt called to the priesthood. He went to seminary and was ordained as a priest. He has served for a number of years as a priest in the Diocese of Atlanta. 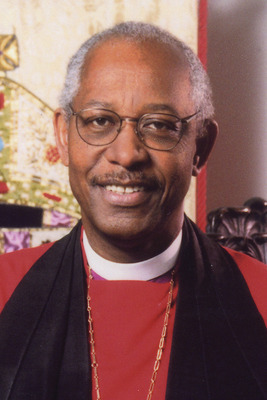 This Saturday he will be ordained as Bishop of the Episcopal Diocese of Atlanta. I am very pleased that he has asked me to be one of his co-consecrators as the Presiding Bishop presides at his ordination. Not everyone invited to church becomes a bishop. This is, however, how many, many people come to the church: you invite them. Throughout the year, the Sunday school children hold fundraisers to raise money for different causes. They sell Christmas cards Easter cards, Valentines Day cards, cookies, crafts etc. Through the Episcopal Relief Development Organization the most recent funds raised will be used to help those in need. The children voted to purchase/support the following: Bees, drought resistant seeds and tools, clean water, mosquito nets, community garden, health clinic, food at school, and a goat. Thank you to all our church members who support our fundraisers. This spiritual growth oriented process is designed to enrich our biblical understanding of Christian stewardship. Rather focusing on the need of the church to receive, the experience concentrates on the need of the giver to give for his or her own spiritual development. No one will calling you at your home for a pledge, but we will contact you personally to secure your commitment to attend morning worship on Consecration Sunday and the Celebration Luncheon immediately after the 10 AM service.